Fuli begun his journey in the Rebel Federation at the very start of the RPF Rewritten era in 2017. He was one of the first of these new recruits to be promoted to moderator, and would eventually rise all the way up the ranks to Third in Command. His return has been nothing short of fantastic, as he has proven that despite the fact that he’s been gone, he still has what it takes to be a phenomenal rebel. This was one of the closest Troop of the Week contests in history, and anybody could’ve gotten it. I’d like to give some honorable mentions to Pookie437, as well as Oliver9912 and Jimmy39893. There were also tons of other troops who did fantastic this week, and to all of you I say good job! Troop of the Week is awarded every week, so even if you didn’t get it this time, work hard and try again next time! The best quality of a rebel is perseverance, that’s how we’ve stayed alive for twelve years now! Fight the good fight. 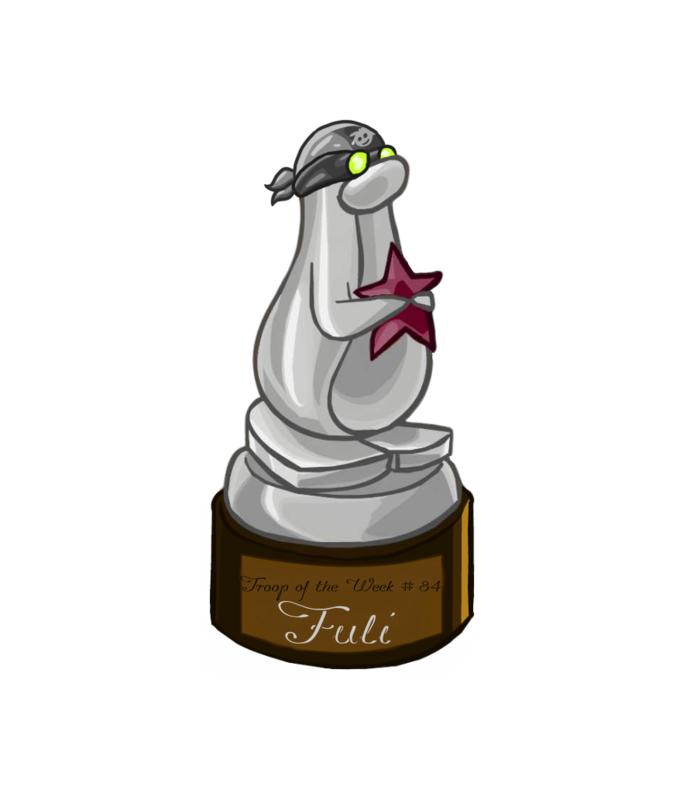 Congratulations to FULI my man!